It all began in 1987. 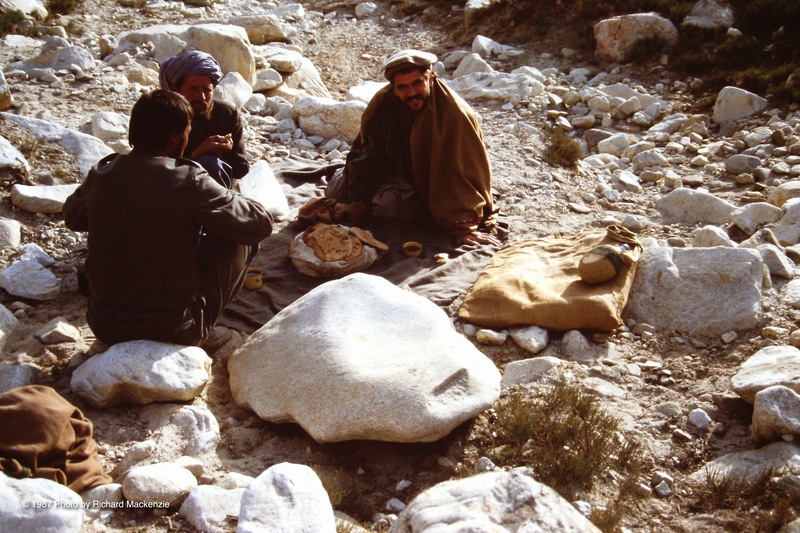 More than a month before I witnessed preparations for the Battle of Keran and Minjon, weeks before I first met Ahmad Shah Massoud and turned to a young Dr. Abdullah as a translator, I was setting off nervous and uncertain from Washington, DC on my first trip into a war zone — a war that had then been raging for more than seven years. 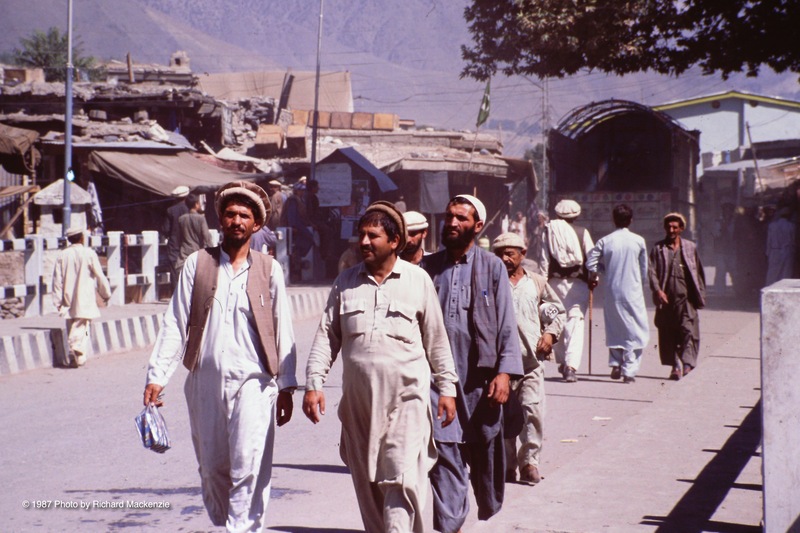 As an American journalist wanting to write about the Soviet invasion and the war of resistance, I wasn’t welcome in Kabul. Likewise, Iran was inaccessible. So I started on the only route possible, flying to Islamabad, Pakistan then finding my way northwest to Peshawar. I would then head north from Peshawar to Chitral, still in Pakistan, and simply slip across the international boundary into Afghanistan. At least on paper it seemed that simple. In Peshawar, I checked into Dean’s Hotel, a splendid, sprawling complex on manicured lawns and steeped in history, where Rudyard Kipling had once lived — and so did a young Winston Churchill when he was a British soldier long before he was Prime Minister of Britain. 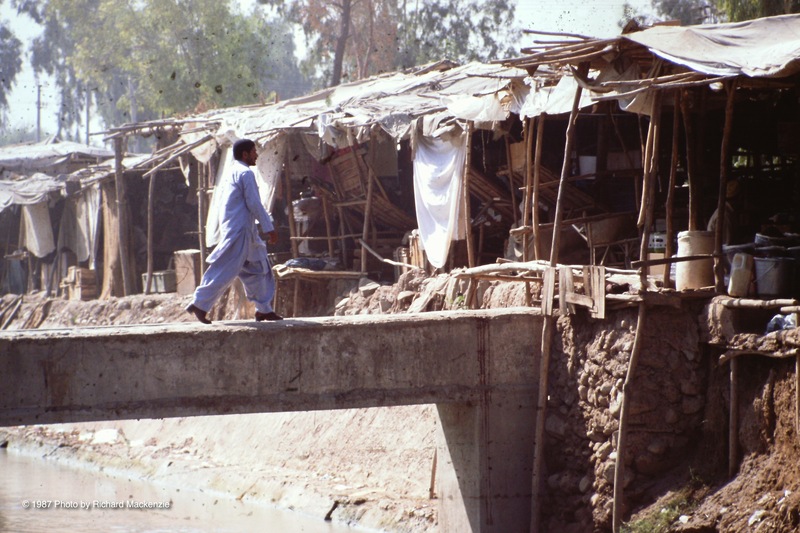 Across town by the bank of a canal, I then hooked up with a mujahideen organization, Jamiat-i-Islami, one of seven such groups headquartered in Peshawar. 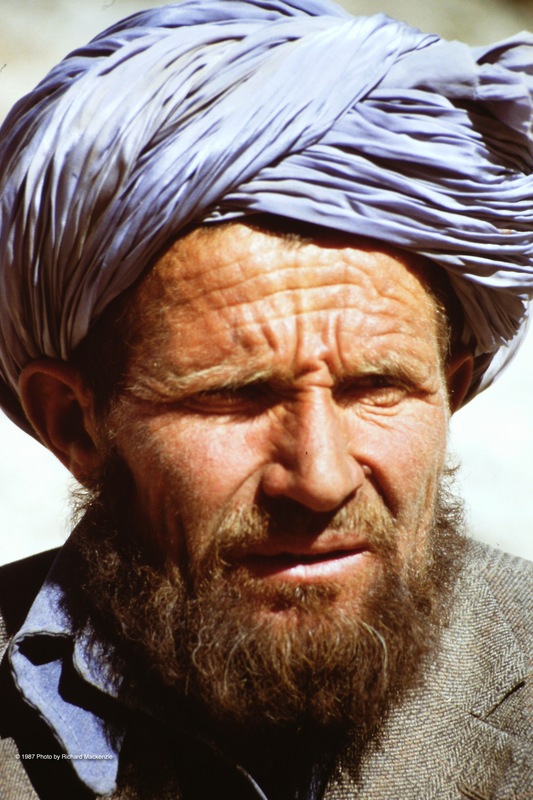 Of them all, that was the group I wanted because they could open the door to Ahmad Shah Massoud. 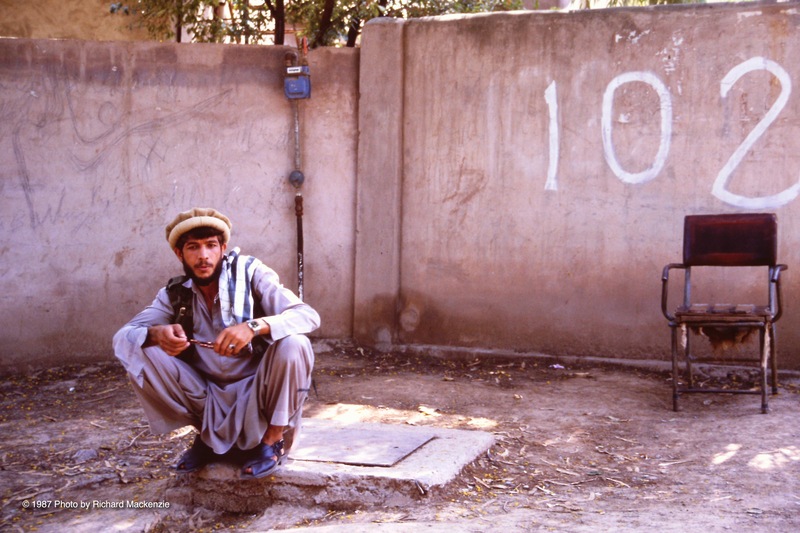 One of Jamiat’s officials helped me change U.S. dollars into Pakistan rupees and Afghanis. He also advised me on what local clothes to buy and how to prepare my luggage to be strapped to the back of a horse. Finally, he introduced me to the two men who would be my escorts. I’d soon learn to regret that introduction. But it was on my last day in Pakistan that I made my biggest mistake, one that would haunt me for months yet to come in Afghanistan. My mistake began with dinner in Chitral. The main guide assigned to me from Peshawar was Syed Mohammad. My horseman’s name was Suffi Moussa. As soon as we landed in Chitral, they both took off to check on our passage, leaving me to stay at the Mountain Inn Hotel. I was alone as I strolled around the town in the late afternoon. By evening, I was hungry and found a restaurant beside a very murky river. I was early for dinner, I guessed, because I was the only customer in the place. Nonetheless, I was happy with the attention the waiters gave me. I ordered and ate a plate of lamb and rice for the main course. I asked what they had to drink. I settled for a glass of water. I didn’t pay too much attention at first. I hoped the water would be refreshing. It was only after I heard a new customer ask for water and I saw a waiter head for a stream that ran by the back door that reality dawned. I watched in disbelief as the waiter scooped a jugful and headed back inside. But it was too late. I had already downed more than half my glass. 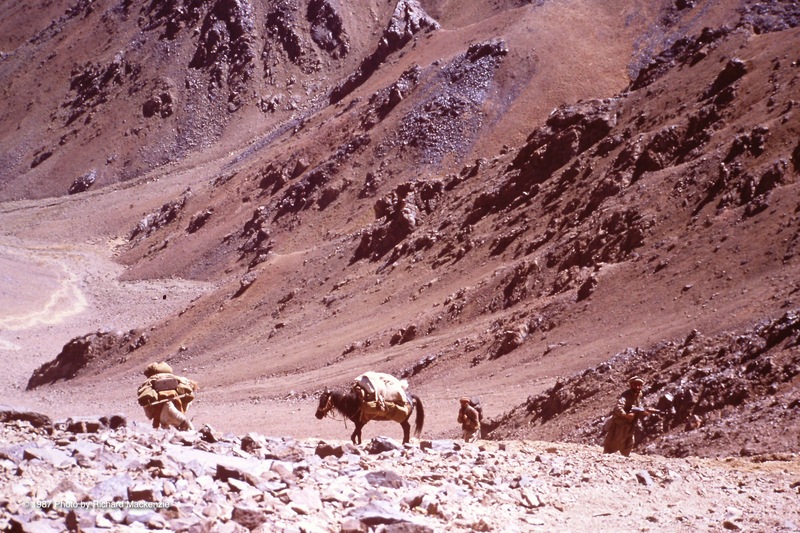 The next morning, my escorts and I caught a ride to Garam Chashma where we spent a day preparing and packing a horse that would carry our baggage and that I could occasionally ride. 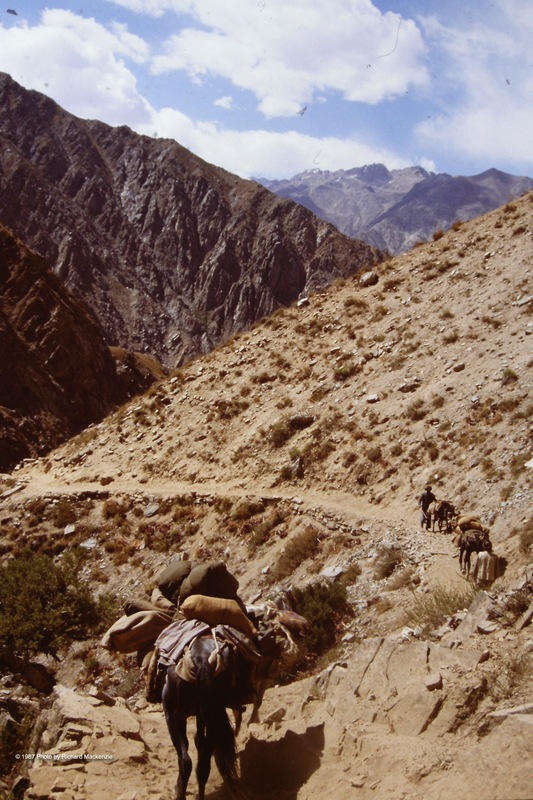 As dawn broke over the crest of the mountains, I was struck by searing pain throughout my gut and debilitating nausea. As I slumped forward on the horse, even in the chill of the morning, I was sweating profusely. My hands were trembling so badly I could barely hold the reins. When I thought we were near the top of the mountain, I asked Syed Mohammad if we were in Afghanistan yet. He didn’t seem to know. In fact, both my escorts seemed to want to be rid of me. After another hour of pushing forward, we were not alone on the mountain. Other wayfarers slogged far ahead of us up the trail. One young man had stopped and lit a fire where he was boiling tea and heating a couple of large pieces of bread. He spoke to Syed Mohammad as we passed, obviously inviting us to join him for tea. We did. I had no desire to eat anything. But I was extremely grateful for the short rest — and pulled a pattu shawl tighter around my shoulders. I tried to smile but it wasn’t easy. As I peered into the distance, I could see nothing but an endless expanse of arid mountains, cloaked in a reddish, brown dust. As I looked at what lay ahead, I was simply terrified. All I could think was that this was not a great start to my assignment to cover the war in Afghanistan. In fact, the way I felt, I was convinced I would never get there. I even doubted I could make my way back into Pakistan. 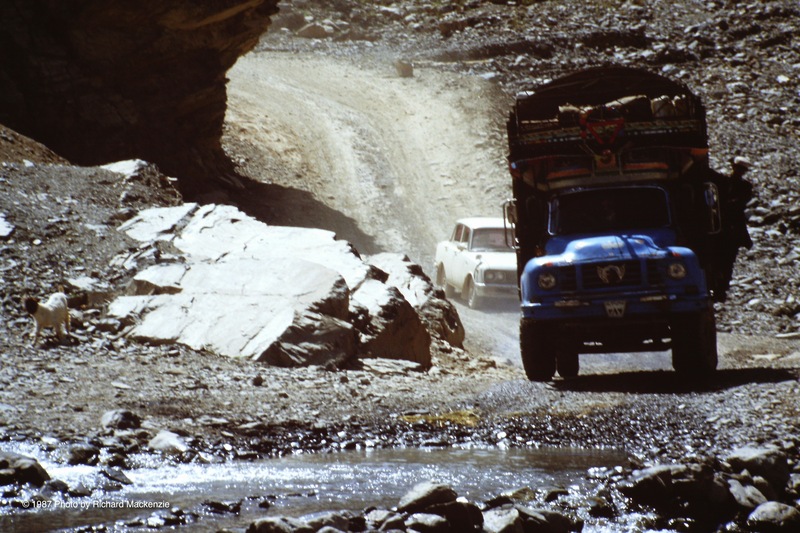 Downtown Chitral, Pakistan: Looking for the secret way into Afghanistan. Strolling through Chitral while I searched for a good restaurant. 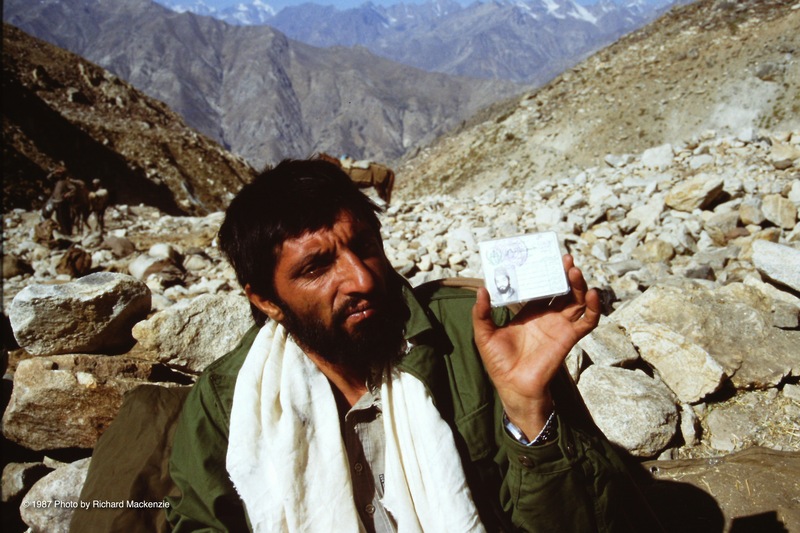 Syed Mohammad — who was to have guided me from Pakistan to the Panjshir. A break for breakfast on the mountainside — but only if you could eat.